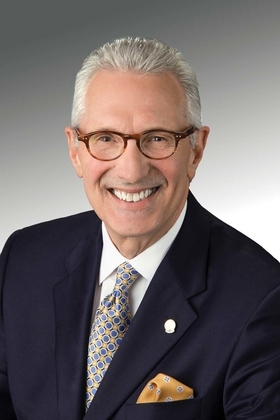 Charles D. Stokes is 2017-18 chairman of the American College of Healthcare Executives and executive vice president and chief operating officer at Memorial Hermann Health System, Houston. Integrity carries special meaning in healthcare environments. Hospital and health system executives are called to make high-impact decisions every day—none more critical than those involving the delivery of accessible, error-free and evidence-based care. From this privileged position of trust, we serve the healthcare needs of entire populations, often when those in the community are at their most vulnerable. The individuals and communities we serve rely on integrity in leadership to ensure they receive care supported by a culture of safety that permeates the entire organization. Nonetheless, patient safety remains a public health issue in the U.S. healthcare delivery system. Far too many deaths still occur from medical errors, which, according to a 2016 Johns Hopkins Medicine study, are now the third-leading cause of death for Americans, numbering more than 250,000 each year. Furthermore, 1 in 10 patients develops a hospital-acquired condition during an inpatient stay, as documented by the National Patient Safety Foundation's 2015 publication Free From Harm. And according to the Institute of Medicine report Preventing Medication Errors, medication errors harm an estimated 1.5 million individuals treated in the U.S. each year, resulting in nearly $3.5 billion in additional medical costs. Ensuring patient safety is a clear leadership imperative. Indeed, leading for safety is healthcare executives' moral and ethical obligation. Its magnitude has become increasingly evident to senior leaders, such that the American College of Healthcare Executives' board of governors recently refined its strategic plan to explicitly identify “safe” care as a desired outcome of its efforts. When grounded in integrity, this imperative is more likely to be fulfilled with an intentionality that befits its importance. Commitment from governance. The board must be willing to prioritize and commit the necessary resources—whether people, processes or technology—to address safety issues. It also must be willing to devote a significant portion of its agenda to quality and patient safety as a reflection of the board's responsibility and commitment. Evidence-based safety practices. Why are tools and processes such as surgical checklists, surgical site marking, sponge and instrument counts and “red rules” (or rules that can't be broken) necessary? Because evidence shows they reduce harm when performed consistently. Pilots never initiate takeoff without going through the preflight aircraft checklist. Similar safety procedures should occur with every patient, every time. Culture of high reliability. Having a culture in which safety is prioritized as a core value is critical to developing a high-reliability organization. Healthcare leaders with high integrity lead with intention by holding themselves and others accountable for unsafe, unprofessional conduct but don't punish employees for human mistakes. Commitment from leadership. As executives, we are on stage every day. Our organizations watch everything we do and say about quality and patient safety. We must develop a high-integrity, “no excuses accountability” mindset as leaders to do the right thing in the name of quality and patient safety. It is up to leadership—governing bodies and the C-suite—to establish a culture of high reliability as the foundation for achieving total systems safety. The ACHE's core value of integrity is a key ingredient in establishing a safety culture that also is fair and ethical. Do we have the fortitude to mandate evidence-based safety practices in our organizations? Are we willing to put patient safety above political consideration and financial gain? Do we empower our staff to stop procedures when safety practices aren't performed? If the answer is yes, then we have the makings of the high-integrity, just culture needed to achieve high reliability.